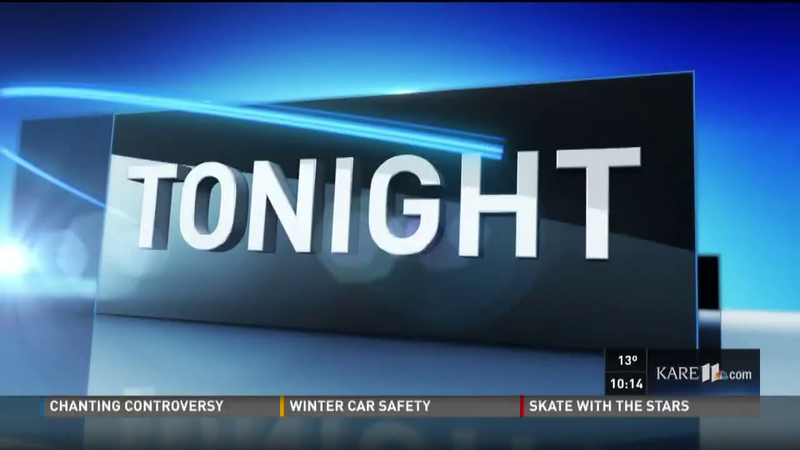 (from NBC’s KARE11 Minneapolis/St. 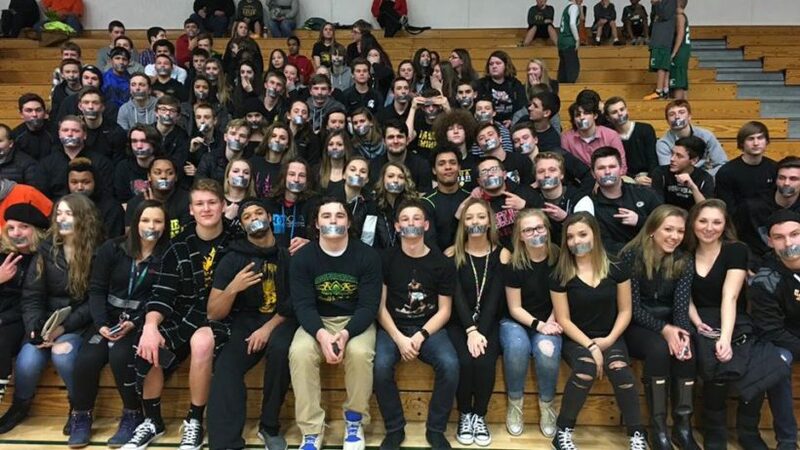 Paul) PRESCOTT, Wisconsin – Prescott Senior High School students started an online petition protesting the Wisconsin Interscholastic Athletic Association’s (WIAA) sportsmanship guidelines of what chants are considered to be inappropriate at athletic events. A group of Prescott seniors, admittedly the most vocal in their student cheering section, are now using their voices to launch a “Free the Students” petition asking the WIAA to allow some of their most common chants at games. “As high school students in Wisconsin, we feel that the WIAA is restricting our creativity. We understand that there are some inappropriate phrases and chants which include racism and profanity, but chants like “air ball” “fundamentals” and “you can’t do that” are not inappropriate in any definition of the word!” the petition reads. The controversial topic comes after an email the WIAA sent to all Wisconsin Athletic directors in December. With holiday tournaments approaching, it reviewed what chants are considered inappropriate sportsmanship, pointing to pages in the Sportsmanship Reference Guide. Prescott seniors Elliot Deutsch, Isaiah Rosenow and Brad Schommer said their school administrators in turn spoke with student leaders about the consequences of using the phrases at games. “It basically outlined what chants we can’t do, why they don’t want us to do it, and they said they’d start handing out consequences if you don’t follow the new policies,” said Schommer. “Forfeit games, kick you out of the state tournament, strip playoff games,” said Rosenow. “It’s not like it’s provocative, just fun, clean fun. The email gained more attention when a Wisconsin girls basketball player from Hilbert High School tweeted an explicit message to the WIAA in response, and was suspended for five games under her school’s policies. WIAA executive director Dave Anderson said the email was simply a reminder of the rules that have long existed, and the WIAA guidance became scrutinized and misunderstood. “To be clear, there has been no new directives, no new rules, no new mandates, no new enforcement expectations associated with the email,” Anderson wrote in an email to KARE 11. “The past several days have certainly brought a light to shine on the many opinions that exist about sportsmanship. I consider it to have presented us with the time and opportunity to review and assess our membership’s desires and expectations in this area. Our Sportsmanship Committee is scheduled meet again on April 8, 2016. ….Perhaps with your input, the committee will be able to identify new ways to capture the interests and intentions of the WIAA membership in and around the topic of education-based athletics,” said Anderson. Reprinted here for educational purposes only. May not be reproduced on other websites without permission from NBC’s KARE11 .com. 2. What are the students asking the WIAA to do? 3. What series of events led to the students’ petition? Be specific. 4. How has the WIAA responded to the controversy? a) Is the WIAA’s response to the students’ petition reasonable? b) What responsibility do school officials have at individual schools to ensure that student fans maintain sportsmanlike conduct? c) What responsibility do student fans have to maintain sportsmanlike conduct? d) Have you seen fans go “over the line” when cheering against the opposing team? e) Should there be any consequences for going over the line? If so, what? If no, why not? f) Read the banned chants under “Background” below the questions. Do the students have a legitimate argument for their opposition to the ban on these chants? g) One commentator said that banning certain chants won’t work because students are creative and they will just come up with new chants/cheers. Should all chants then be banned? h) What type of guidelines should school administrators use with student fans? Where does discernment/common sense fit in this issue? Free Answers — Sign-up here to receive a daily email with answers.